We had a blast snowshoeing at Medicine Lake. Female moose in the Maligne Valley. A favorite food of the wolves. 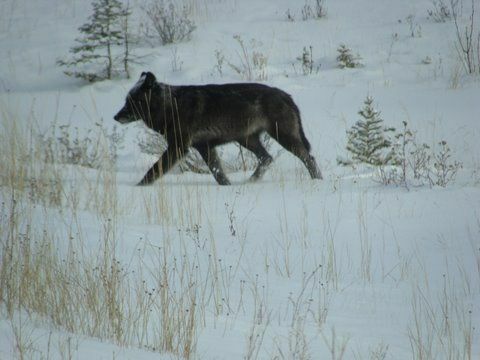 We saw these wolves on the Pyramid bench behind the town of Jasper last week. The come in a variety of colors. The weather was real nice our one day of summer so far. This was a rainy day in Jasper but we saw this coyote. This day we had great weather for the hike to Sulphur Skyline! There is less snow now. There is alot less snow up there now! There was alot of snow up there! This is a good photo of a bald eagle. 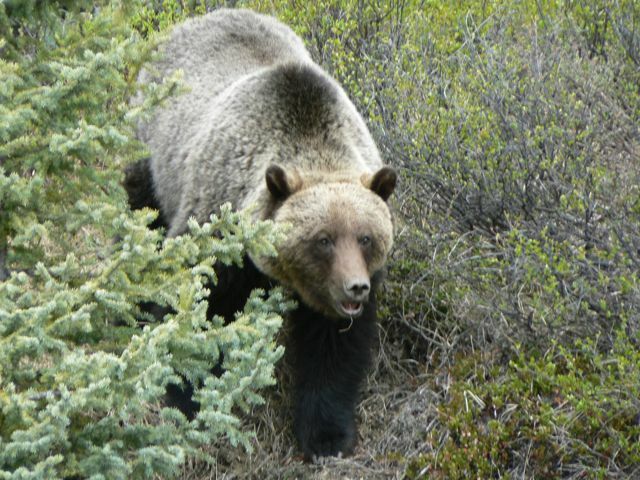 Black bear yesterday....Grizzly bear today. 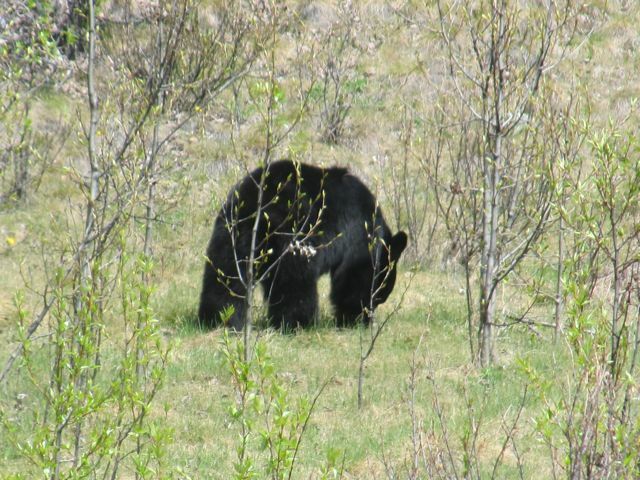 I can't believe the photo I got of this bear yesterday perfect example of a hungry Grizzly bear. I did have my telephoto lens, honest. It is not everyday that we really do spot caribou up the Maligne Valley. This was a nice surprise! 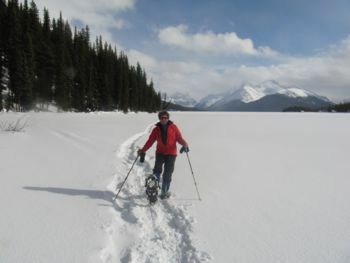 This was a fun day of cross-country skiing at Beaver Lake with the Colin Range in the Background. This was a fun day of Snowshoeing at Sunwapta Falls!! Today we were out snowshoeing at Talbot Lake and there it was... a Bald Eagle in Jasper in December. Interesting!